“Russia is among the most important markets for the Bulgarian tourism and the Ministry of Tourism works steadily to guarantee the best terms and conditions for the tourists and the tour operators from the Federation”. 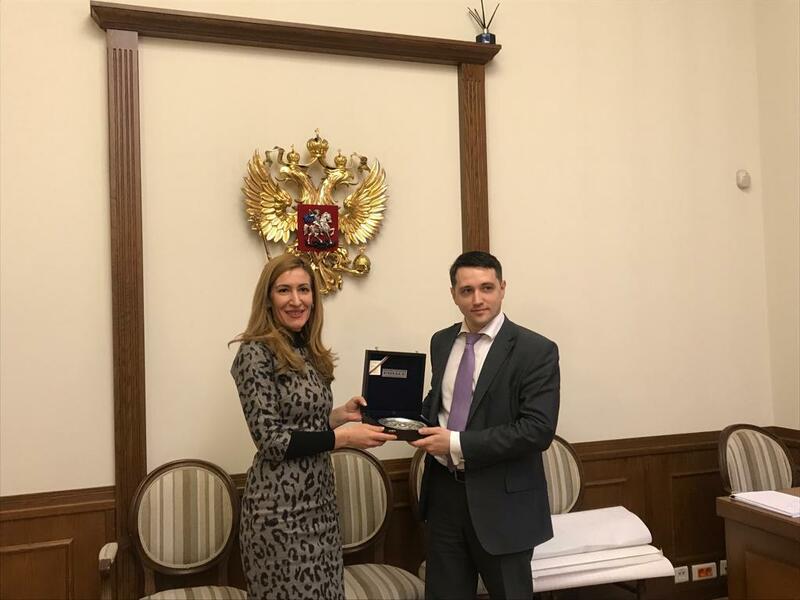 These were the words of the minister of tourism Nikolina Angelkova during the meeting with the vice-minister of the economic development of the Russian Federation Sergey Galkin in Moscow. Minister Angelkova is on an official visit in the Russian capital, accompanied by a parliamentary delegation. “I am happy that tourism was one of the main topics of the meeting between the prime minister Boiko Borisov and the president Vladimir Putin last year in Moscow. I had the honour to be part of the delegation then and we raised specific questions for the development of the sector. I am very pleased that today we again have the chance to discuss and continue our good partnership with the Russian country. Our bilateral relations are based on friendship,” said Nikolina Angelkova. She pointed out and emphasized the big support from the National Assembly for that policy. 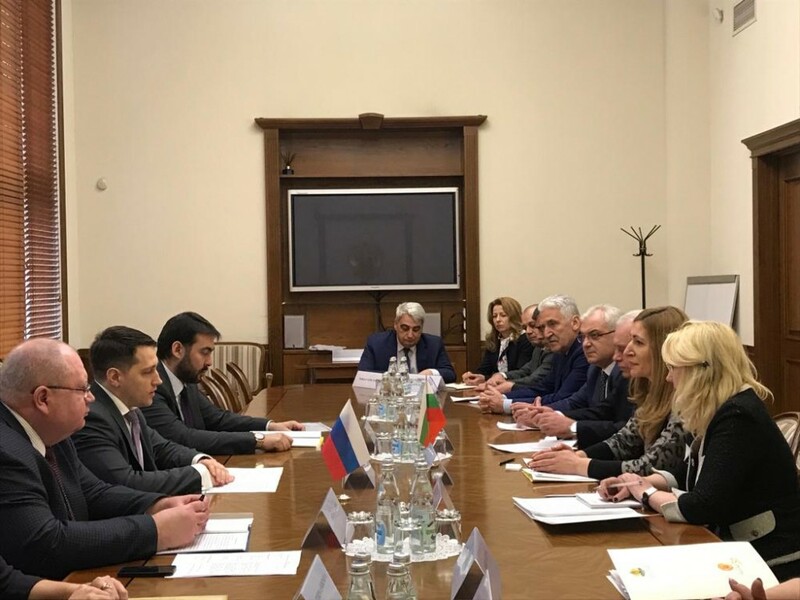 The Vice-President of the National Assembly Yavor Notev, Krasimir Velchev, co-chairman of the Bulgaria-Russian Friendship Parliamentary Group, the deputies Hristo Prodanov, Hairi Sadakov, Polina Tsankova-Hristova took part in the delegation in Moscow. The minister reminded that tourism was among the spheres of greatest importance for the bilateral relations. “It is one of the priority sectors of the Bulgarian economics and contributes, together with the related industries, approximately 12% of the GDP and forms almost 11% of the employment in our country.” Minister Angelkova thanked for the trust in Bulgaria as a destination. “Traditionally we enjoy the interest of the Russian tourists and we will count on your support in order to increase their number,” explained she. “2018 is the third record year in succession for the Bulgarian tourism in all its history. Bulgaria was visited by over 9.2 million foreign tourists which is the highest result since statistics on tourism has been kept in our country. The revenue from international tourism for the first 11 months of last year amounts to 7.2 billion BGN. The visits of Russian tourists are of considerable importance for this rise as they were almost 512k. The Federation was on 6th place in the classification of inbound tourism in Bulgaria.” emphasized minister Angelkova. She also underlined the excellent cooperation with the Federal Agency for Tourism and the Russian business. “Another important trend in our mutual cooperation is the introduction of a number of facilitations in the visa application procedures for Russian tourists,” became clear from the words of Mrs Angelkova. “The changes cover different categories of users – children, disabled people, property owners, people who had previously resided etc. In order to secure the activity of the consular offices on the territory of Russia, the Ministry of Tourism has helped for the opening of outsourced visa application centers. The Bulgarian consular office in Ekaterinburg is already working actively. Visas are issued in 21 outsourced centers in the Russian Federation and the procedures have been accelerated as much as possible. Since 1 February 2019 Bulgarian visa applications can be submitted in 59 towns on the territory of the whole of Russia. The fee is expected to be decreased and we hope that this will also help increase the interest of the Russian tourists toward Bulgaria, “ said minister Angelkova. She also underlined the importance of the modern technologies in the overall policy of the department for the provision of fast and high-quality services for the tourists. “This years we have focused on the digitalization in the sector and I would like to outline specific initiatives in that connection,” explained the minister. “The e-services which the ministry offers can be used 24 hours a days, 7 days a week. A special telephone, answered by an employee of the ministry, is also working for the Russian tourists. Traditionally the Russian tourists are interested in the Bulgarian summer resorts bit together we can develop the cultural and historic tourism, and the balneotherapeutic and SPA tourism, increase the number of children groups etc,” said minister Angelkova. During the meeting it was announced that a bilateral economic forum on tourism is being planned together with the Trade Representation Office of the Russian Federation in Bulgaria to take place in April this year. It will take place in Veliko Tarnovo within the International Cultural Tourism Exhibition. Minister Angelkova invited vice-minister Galkin to visit the business event. The Vice-President of the National Assembly Yavor Notev also confirmed his belief that the joint work between the institutions of both countries should continue.